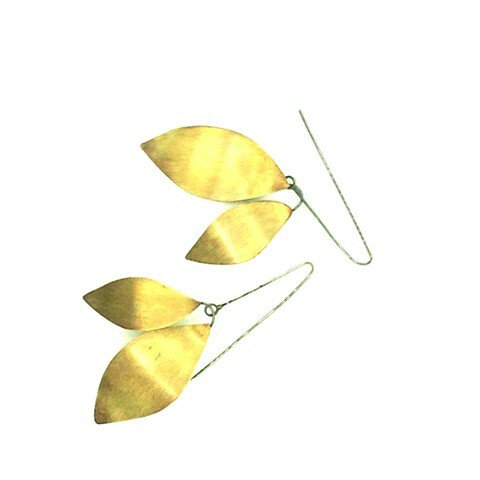 These double leaf earrings are a throw-back to the maple tree helicopters I loved to fly as a child (and still do). The patina on the brass has been carefully culled to create the perfect hue. The oxidized silver ear wire and construction allows flow, like wind rustling.